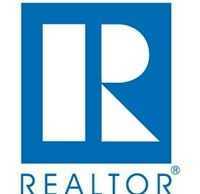 WASHINGTON, D.C. – August 28, 2013 – (RealEstateRama) — Pending home sales were down in July, with higher mortgage interest rates slowing the market, according to the National Association of Realtors®. The Pending Home Sales Index,* a forward-looking indicator based on contract signings, declined 1.3 percent to 109.5 in July from 110.9 in June, but is 6.7 percent above July 2012 when it was 102.6; the data reflect contracts but not closings. Pending sales have stayed above year-ago levels for the past 27 months. The PHSI in the Northeast fell 6.5 percent to 81.5 in July but is 3.3 percent higher than a year ago. In the Midwest the index slipped 1.0 percent to 113.2 in July but is 14.5 percent above July 2012. Pending home sales in the South rose 2.6 percent to an index of 121.5 in July and are 7.7 percent higher than a year ago. The index in the West fell 4.9 percent in July to 108.6, and is 0.4 percent below July 2012. NAR projects existing-home sales to increase 10 percent for all of 2013, totaling about 5.1 million, and reach approximately 5.2 million next year. With ongoing supply imbalances, the national median existing-home price is expected to grow nearly 11 percent this year, and moderate to a gain of 5 to 6 percent in 2014, with rising construction taking some of the pressure off of home prices. NOTE: Existing-home sales for August will be reported September 19 and the next Pending Home Sales Index will be on September 26; release times are 10:00 a.m. EDT.